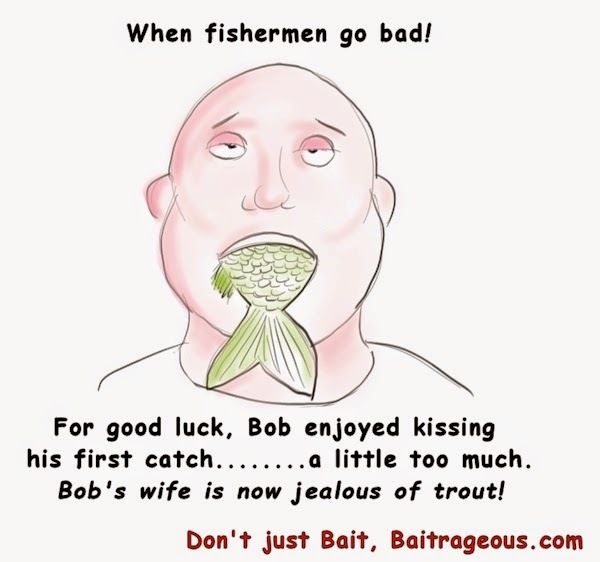 BaitRageous: Do you kiss the first fish you catch? A continuation of "When fishermen go bad." Just like fish, fishermen can go bad, too. Enjoy! Looks like Bob enjoys sushi, sort up. Bob has certainly gone bad! No kissing of fish. First, last, or any in the middle. Yeah, kissing the fish. That's when you can tell a fishermen has gone bad!